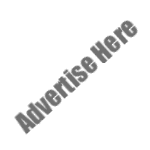 Advertise here banners is a great way to make money from your blog. There are millions of Advertisers (Sponsors) in the internet market who want to put their ads on the High traffic blogs & Websites. If your blog is getting handsome amount of traffic then you should try to add some Ad slot for the advertisers and you can earn a good amount of money by just selling some ad space. Just Copy HTML Code for Ad banners and put on your blog. Today i was creating the custom Advertise Here banners for my blog. I thought to share it with all my readers so you can easily embed Sponsors Ad Slot in your Blogger Account. 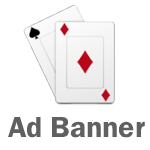 Let see how to "Add Advertise Here Banners" in Blogger and Attract Advertisers. #Step 2. Copy below code and paste it just before the ]]></b:skin> code. - Give Title Name as "Sponsors" or Whatever else you want to put. - Paste below image code in the content area and save your widget. 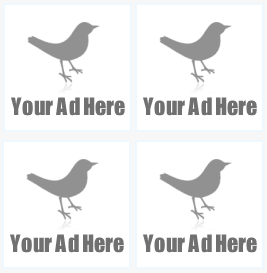 Note: Repeat above given image code 3 times and you will be able to see 4 Advertise here banners on your blog. - You can put Hyperlink on click of image if you want, which redirects users to your contact me or about me pages. Update: Added some more background images to use as an advertising banner. 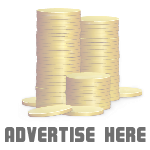 Get free information related to "How to Add Advertise Here Banners in Blogger and Attract Advertisers". Thks bro. I have been looking for how to implement this stuff on my blog. I really appreciate. You have done a marvelous job! I am really inspired with your work. -How can i put the "buy link" in this banner ? -how can i edit the banner siez ? 3) You can set banner to anywhere, just add a gadget and copy past the code in your template. I just found this site; it's very useful I appreciate your work. advertise on it. What should I do to add their ads into the advertisement box? We offer Pull-up Banners, Pop up Banners, and Role up Banners for projecting videos, slideshows, large images or other media suitable for exhibition displays. Our pull-up banners come from many reliable brands including Webloc, SPIDERMOUNT and FabFrame – all made to enhance video and computer presentation at your service. Thanks for your helpful article. It this legal that we can place our own adds on our blogs in google blog spot? Will google gives the permission to publish our own adds without google notice since we are using the google blog for free. Is this legal to put own own adds without taking the permission from google on our google blog? @Vivek, so many bloggers are using it, you can do it. @ANSHUL3004, You can redirect from there to your advertise rate page or any page where you have contact details, so when any advertiser want to advertise with you, they can easily contact you and it's better to know the rate as well.